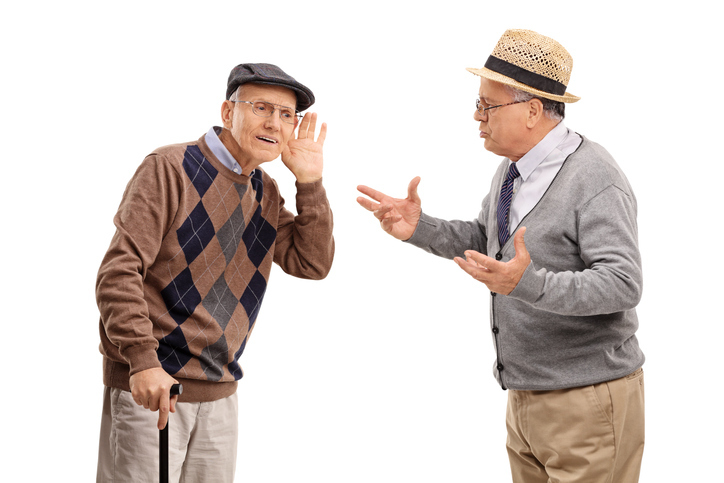 Distracting noises, fast talkers and mumblers —there are many different circumstances that make participating in group discussions hard for those with age related hearing loss, and some can make one feel left out entirely. Those without hearing loss should recognize this challenge and keep in mind to speak clearly when facing an older loved who has developed hearing problems. Tell those you’re with that you are experiencing hearing loss; that way they know to adjust their speech, look at you when they are talking, or make other accommodations to help keep you in the dialogue. Sit or stand in such a way that you can see the faces of all speakers. Face away from noise or other background disturbances. Use what you know about the person speaking to help provide clues on what is going on in the conversation, including the individual’s interests or lifestyle. Stay updated about current events. Make sure you are well-rested before attending an occasion where you will be listening to a lot of speech. Friendly, caring companionship to engage in favorite activities and hobbies, conversations, exercise programs, etc. Connect with us at 510-284-0000 to schedule a free consultation and take the first step toward enhancing the quality of life for your senior loved one with our exceptional California in-home care services.